The man who helped the geological scientists zero in on the little-known Mawmluh cave was Brian Karpran Daly. The 71-year-old is unanimously acknowledged as the foremost cave enthusiast and explorer in Meghalaya. A 7.2-km-long cave, almost hidden behind an imposing cement factory, and a trek of 10-odd minutes from the nearest motorable road, part of it wading through a stream, just attained a permanent spot in the study of Earth’s geological history. But even at Mawmluh, a small village tucked away in the East Khasi Hills district of Meghalaya, unless you ask around, it’s not easy to find the cave. Unlike its popular counterpart Mawsmai cave — located around 7 km away and open to visitors — the Mawmluh cave cannot be entered without expert guidance. The International Union of Geological Sciences recently announced the division of the last 11,700 years on the geological time scale into three parts: the Lower Holocene or Greenlandian Age, the Middle Holocene or Northgrippian Age, and the Upper Holocene or Meghalayan Age. The Meghalayan Age started 4,200 years ago, when agricultural societies around the world experienced a mega-drought. The time period of the beginning of the Meghalayan Age is defined at a specific level in a stalagmite specimen collected from the Mawmluh cave. Meghalaya has an extensive network of caves, attributed by scientists to the significant limestone bedrock omnipresent in the region. The Mawmluh specimen provided the best record of the climate at that time to the researchers. Lying adjacent to the tourist hot-spot of Cherrapunjee, the Mawmluh village of 230-odd families is more known for the Mawmluh-Cherra Cements Limited (MCCL) cement factory. The first such factory in the Northeast, established in the 1960s, its towering structure dominates the village’s landscape. The man who helped the geological scientists zero in on the little-known Mawmluh cave was Brian Karpran Daly. 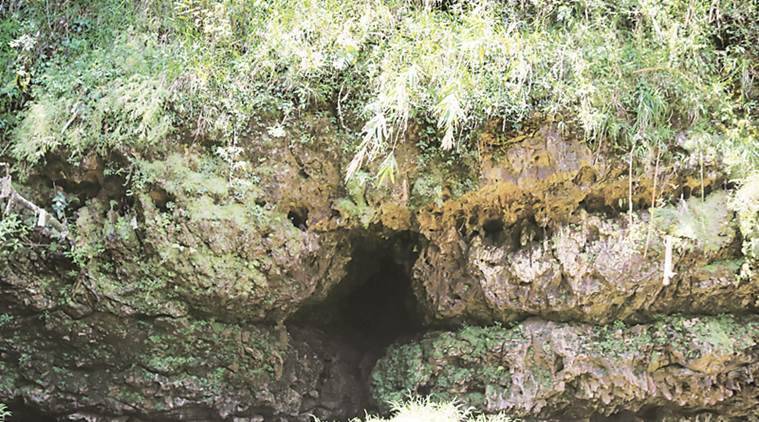 The 71-year-old is unanimously acknowledged as the foremost cave enthusiast and explorer in Meghalaya, credited with discovering, exploring and mapping 1,700-odd caves in the state. In 1990, Daly had founded the Meghalaya Adventurers Association (MAA), a group of caving enthusiasts, and won the Tenzing Norgay National Adventure Award for Land Adventure in 2002. He is also the chairperson of the Shillong Co-operative Urban Bank. According to Daly, any person going to explore the Mawmluh cave needs a caving suit to keep one warm and protect the body as one has to crawl through part of it, strong boots and a helmet with a light attached for illumination. One of the primary concerns regarding the Mawmluh cave is that the MCCL mines for limestone in the surface above it, which experts like Daly says can cause its collapse. “Mining has been going on for the last 60 years. I have been writing letters and complaining. Mining limestone can not only damage the cave but make it extinct. My suggestion is bring limestone from another area for the MCCL,” says Davy. East Khasi Hills Deputy Commissioner P S Dkhar says the government has taken note of the development. “After this great news, the government and administration have to look at preservation of caves in a serious way,” he says.